Unfortunately, it is not expected that all GOP candidates and GOP elected officials will follow the values of the Texas Republican Party platform. It IS EXPECTED that the PARTY FOLLOWS THE STATE PARTY PLATFORM. 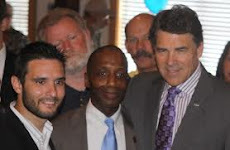 * It is AGAINST the Platform of the Republican Party of Texas to give ANY money or support to Pro-Abortion Candidates. The Texas Republican Party Platform is a set of values that has been voted on by the thousands of delegates and the SREC and State Party are charged with upholding and promoting the values of the Party Platform. No one is saying that the Party should oppose Pro Abortion Republican Candidate Sarah Davis against her Democrat opponent. This platform values just says the Party should not give money or support to a pro abortion candidate and let the candidate run their own election. There are thousands of other candidates who could use the money that the party gave to Sarah Davis anyways because her campaign already had a massive amount of money. There is NO excuse for the party to violate the platform and go out of their way to send money and support to Sarah Davis and not sent money and support to so many other candidates who are PRO-LIFE. *State Representative Sarah Davis is for Late Term Abortions and Opposes Republican Pro-Life Bills. Sarah Davis was the ONLY Republican to vote against the pro-life abortion bill being fought in Austin, TX right now. She is for late term abortions after 20 weeks when babies can feel pain. She is the ONLY Republican State Representative to vote against last session's Sonogram Bill. She also got a 100% pro-choice score from Planned Parenthood and is openly opposed the overturn of Roe v. Wade. The Party should have known this information when they gave Sarah Davis money and they should put measures in place so it does not happen again. I would like to thank all of you for the RPT's support of the pro-life legislation currently being considered in the state legislature. As you are all aware, this legislation will go a long way to protect innocent human life and women's health in our state. Party Candidates and the Platform on Protecting Innocent Human Life - We implore our Party to support, financially or with in-kind contributions, only those candidates who support protecting innocent human life. Further, we strongly encourage the State Republican Executive Committee to hear and recognize the longstanding and overwhelmingly consistent voice of the grass roots and revise its by-laws to make this action binding on our Party. This plank of our platform expressed the clear desire of our grassroots that the RPT only fund those candidates who support protecting innocent human life. The RPT has limited funds with which it can support candidates and it is unable to financially support every Republican candidate in the state. In fact, only a small percentage of Republican candidates across Texas receive financial support from RPT. During the last election, the Republican Party of Texas contributed (either directly or through in-kind contributions) approximately $20,000 to Sarah Davis' campaign. When I discovered that the RPT was violating this plank of the platform, I sent Chairman Munisteri and the SREC an e-mail outlining my concerns. After the concerns expressed in my e-mail were not addressed, I then arranged for delegates to our last state convention to be informed about the RPT's financial support of Rep. Davis (who also opposed the sonogram bill in the 2011 legislative session and received a 100% score on Planned Parenthood's candidate survey in her most recent campaign) and gave the contacted delegates an opportunity to be connected to the RPT's office to express their opinion on the matter if they so desired. This resulted in an overwhelming response. Instead of addressing the Party's failure to abide by its own platform, the RPT directed callers to a recorded message that attacked me and my employment. I was also told that some within the Party encouraged Chairman Munisteri to seek criminal prosecution against me for making it possible for these GOP activists to make their views known to the Party (of course, the First Amendment clearly protects this kind of political speech). While I certainly agree that, despite her flaws, Rep. Davis was a huge improvement over her Democratic opponent, the money she received from the RPT represented only a small fraction of her entire campaign budget. The funds used to support Rep. Davis' campaign would have been better used elsewhere and I believe it sent a negative message to the grassroots that this plank of the platform was disregarded. I wish I could say that Rep. Davis' opposition to this pro-life legislation was a surprise, but it is not. I think it is important that each of you as SREC members know that her campaign was subsidized on your watch as SREC members at the expense of other pro-life candidates. I hope I am not the only one that finds it troubling that a candidate who received this level of financial support from the RPT is now criticizing this key conservative legislation in the media as a political stunt and publicly questioning the motives of the Republican sponsors of this bill. While I recognize that is probably not feasible to seek a refund from Rep. Davis, I would hope that the SREC takes all steps possible to ensure that the money contributed to the RPT by hardworking grassroots conservatives is not misused in a similar manner in the future. As a deist, laissez faire, equal rights person who is working with Kelly and HCRP outreach, I take it you do not want my help! Single issue people such as YOU will be the death of the GOP, not people like me. I do not approve of gay marriage, but if you worked as hard for the GOP as the LCRP you would have cause to comment. I called on 15,000 houses, and walked nearly 400 miles for a GOP candidate last year. What did you do? I am certainly not a single issue person. There are hundreds of issues in the Texas GOP Platform and I stand by all of them, not just one of them. Anyways, I of course never said the party should oppose Sarah Davis or support her Democrat opponent just because of this one issue. It is also expected that not every candidate is going to follow everything in the Party platform. What I am saying though is that the party should follow the party platform and the platform says not to give money to pro abortion candidates. Not killing babies is a big issue in the party and if a candidate wants to run and win in the republican party and be pro life I suppose there is nothing stopping them and I am not going to support the democrat opponent who is worse, but the party money should not get involved in the race involving a pro abortion candidate. Davis had lots of money on her own anyways. You can control the ads at the top, like the one right now that says, "Fight back against Perry's attack on women's rights" You really want to earn a few bucks off an ad like that? I've had ads before and you have a right of refusal on ads.